With this year’s Brighton Music Conference now less than a month away, here’s a brief rundown of what’s on. Evening events include TAKE with Patrick Topping (BMC Official After Party), Brapp x BMC Present LEVELZ (Friday BMC Official After Party), Constant Circles Label Showcases, Wunderground, Wiggle, Native Instruments: Traktor Cookery School, Toolroom Drinks, AFEM, LNADJ, Wall of Sound & English Disco Lovers, and more. Ahead of the two-day conference schedule (Thursday 27 and Friday 28 April), the annual AFEM Networking & BMC Welcome Drinks returns to The Tempest on Wednesday 26 April with DJs from MVMT (6pm - 10.30pm). Thursday highlights include Constant Circles hosting the first in a two day Label Showcase & Exhibition at No Walls Gallery (11am - 7pm Thursday and Friday); the Wunderground x BMC Networking event returns to Brighton Pier (7.30pm – 11.30pm), and this time “dance music’s biggest jokers” play chief-matchmaker, hosting the world’s first ever episode of ‘DJ Blind Date’ where groups of DJs will battle it out to win the love of their favourite promoter (free entry to anyone dressed as Cilla Black, £5 for anyone else). 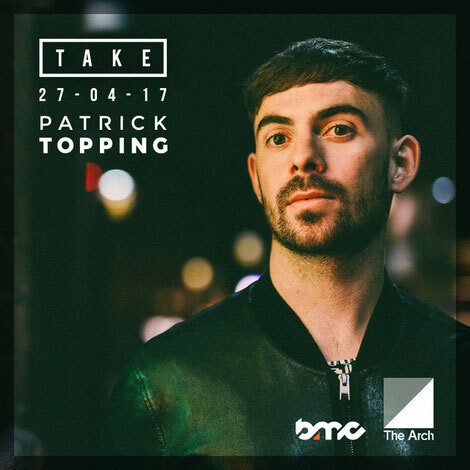 Thursday’s ticket is TAKE with Patrick Topping at The Arch (10pm - 6am), the Official 2017 BMC After Party. In 2016, TAKE hosted one of the South Coast’s biggest events of the year with Seth Troxler topping the bill. This year’s headliner is Hot Creations front man and Elrow resident, Patrick Topping, an artist who’s cemented his status as possibly one of the most in demand names in electronic music. Further Thursday events include PRS’s networking party at BLOCK (formerly Neighbourhood, 6pm-8pm), and two invite only/ticketholder events with Toolroom Drinks at Dead Wax (open to Toolroom Academy Ticket Holders only), and Native Instrument’s Traktor Cookery School at Vine Street Studios. Friday will see day two of the Constant Circles Label Showcase & Exhibition at No Walls Gallery (11am-7pm), while Berlin Brighton will take place at Green Door Store (11am – 4am). Networking events include the Horus Music Networking Party at BLOCK (6pm-11pm), and Afrika motion’s Networking Drinks at My Hotel (5.30pm – 9pm). Brapp will be throwing Friday’s BMC Official Official after party at Patterns. 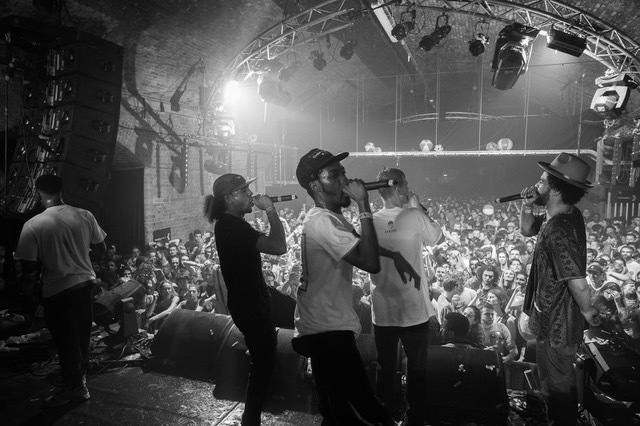 Headlining the night will be the award winning grime, dnb, rap hybrid collective known as LEVELZ. With possibly one of the best live shows in the country, Manchester’s collective of producers, MCs and DJs will be serving up a heated platter of dubs, bars & energy. Full Live Show featuring: Biome, Black Josh, Bricks, Chimpo, Chunky, Fox, Jonny Dub, Metrodome, Rich Reason, Skittles, Sparkz, Truthos Mufasa, and T-Man. Brapp will also present 64 Bar MC Showcases. They’ve handpicked a selection of emerging and legendary hip hop and grime artists from all over the UK to showcase their skills in a 64 bar showcase (Glasgow, Nottingham, Brighton, Manchester and London will all be represented on the night). Each artist will be filmed and multitrack recorded for official release as one-take live appearances on Brapp’s Records & YouTube channel. The evening will be hosted by Foreign Beggars frontman & Brapp co-founder Orifice Vulgatron alongside Brighton's Tom Hines (Slip Jam Crew). Also on Friday, LNADJ (Last Night A DJ Foundation is BMC17’s official charity partner), Wall of Sound & English Disco Lovers will join forces to present a charity event at Komedia, with all profits going towards LNADJ. Artists to be announced. Wiggle return to hold their 23rd birthday party with On The House BMC Party with Pioneer DJ and Kuvo at Al Duomo (5pm – 6pm). DJs include Magnus Asberg, Nathan Coles, Terry Francis, Eddie Richards, Andy Blake, Rob Anderson, Lucas Hulan, Felipe Kastegliano, Dylan Debut, Liz Edwards, Joe Volpeliere, Corin Martin, Simon Atkinson, and Beatsworkin.